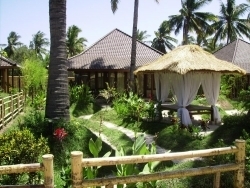 This 1 bedroom villa is part of a spacious complex consists of: Five Villas located directly in front of the blue ocean of Gili Air. Each villa has two beds and a small kitchen. 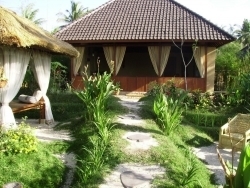 This 1 bedroom villa is part of a pacious complex consists of: Five Villas located directly in front of the blue ocean of Gili Air. 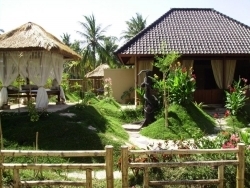 Each villa has two beds and a small kitchen.